Dallas & Jake smile a lot when they are looking at each other. Cuddling close was second nature for them. I could just tell that these two were meant to be with each other from the moment I met them. They chose the Union Station in KCMO for their engagement. Jake proposed to her there the day after Christmas. Beautiful decorations still hung, he got down on one knee and completely surprised her. Tunnel vision came at that point and she said she couldn’t even remember if she had told him ‘yes’ so she had to ask him to make sure later on that night. Dallas also loves the look of architecture which made the area the perfect backdrop. 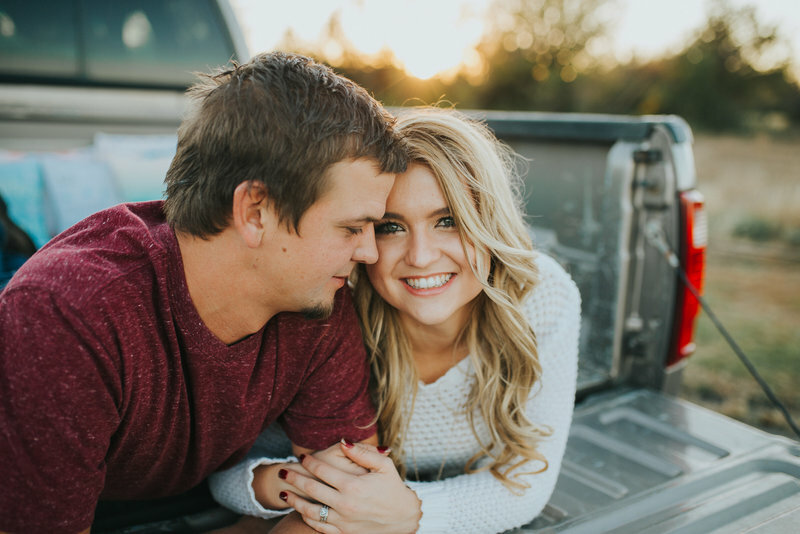 These two will be tying the knot in May, 2018 at Queen of the Holy Rosary, Catholic Church followed by a reception at Embassy Suites Hotel. Their wedding theme is to be elegant and romantic (my personal favorite, of course!) and their color palette is dusty rose, navy, gold and green. I hope you enjoy this little sneak peek into their engagement session!